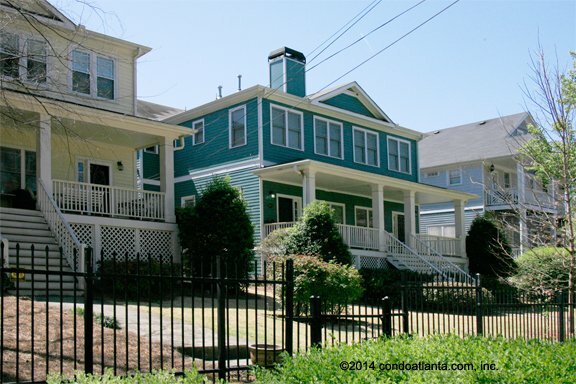 Inman Walk is a lovely community of townhomes located in the Heart of Atlanta’s Inman Park community. Enjoy all the benefits of a location walking distance to Historic Inman Park, the Krog Street Market, the Atlanta Beltline, Candler Park, Little Five Points L5P, local restaurants, shops and more. Love living in a neighborhood surrounded by the charm and character of Edgewood, Lake Claire, the Historic Old Fourth Ward, Sweet Auburn, Oakland, Cabbagetown, and Reynoldstown. The community amenities for Inman Walk Townhomes includes a swimming pool for the enjoyment of homeowners. Commuters will appreciate access to travel routes along Dekalb Avenue, and Moreland.